Civil Actions during the Servus Heritage Days, inside Hawrelak Park/ Edmonton AB Canada. (Includes 9/11 ae911Truth material) Saturday August 4, 2012. Civil Activists (9/11 Truthers) Bruce and Doug shared with hundreds of Edmontonians over 260 leaflets, brouchues, 9/11 Investigator newspapers and "The Civil Information Activist" Newsletter, from 1-4 pm, by the front gates and around the park of Heritage Days. Included today were leaflets to help raise funds for local film-maker (9/11 Truther) Teace Snyder's new film "Hold Me" thats presently being filmed in Edmonton and New York City. Bob Tuskin interviews Richard Gage on a variety of issues after the Atlanta 911 Truth conference. Richard Gage specifically talks about the evidence that debunks the so called DEW Theory as well as the idea that micro nukes were used on 9/11. 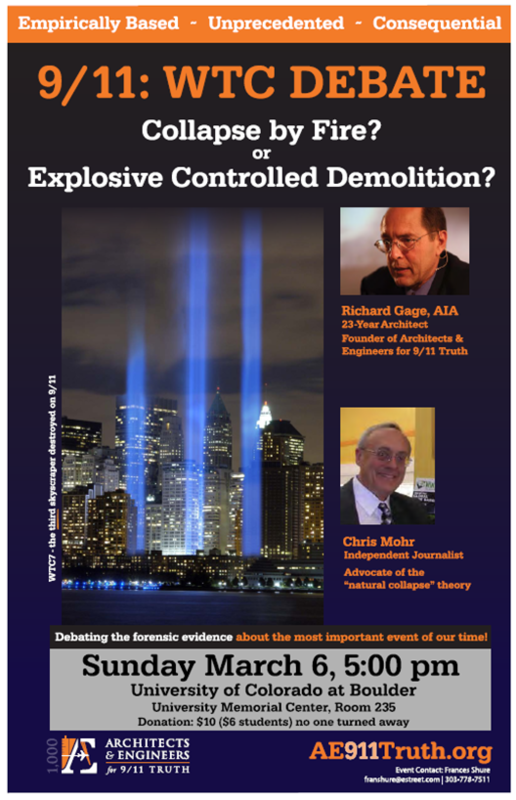 Here is a video taken on Saturday May 21st 2011 at the Atlanta 9/11 Truth Conference. Manny Badillo takes about false flag terror in general, the possibility of another attack, and the very successful Building What Campaign. CLICK HERE TO LISTEN LIVE or to the archive after the broadcast. Collapse by Fire or Controlled Demolition?